Please note that the Church made an announcement on September 5, 2018 that by the end of the year, they anticipate that most mission call letters will be delivered electronically. This will likely necessitate changes in the process outlined in the article below, which deals with the Church mail room and sending out mission call packets via snail mail. Until it is determined what those changes are, I’ll leave the post below as it, but please note that the new electronic process for sending out mission calls will likely speed things up. I am frequently asked about steps in the LDS mission call process and a couple of the common questions are about what day of the week the apostles meet to make the mission assignments and subsequently, what day of the week does the mission call letter and packet will get mailed out. The answer to both of these questions is that it depends. Let me explain. What day of the week do the apostles meet to make mission calls? 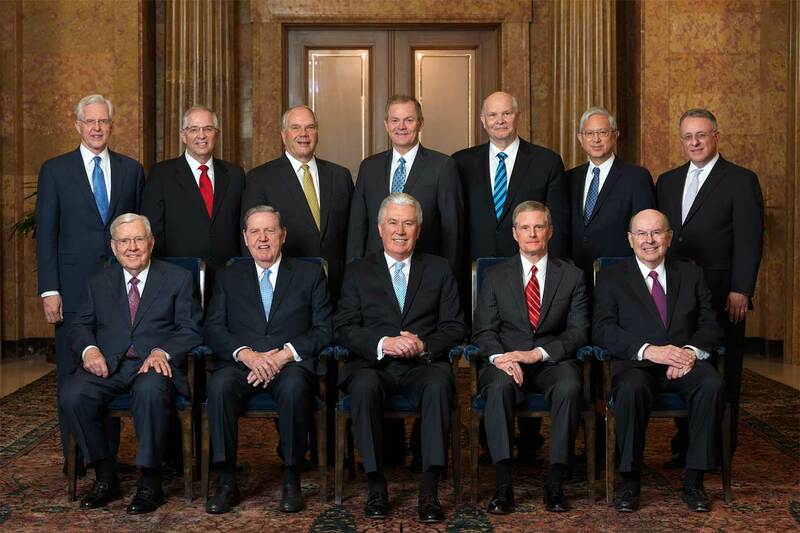 In most weeks, the member of the Quorum of the Twelve Apostles will meet and make these call assignments on Friday. But depending on their schedule, that day can vary. Thursdays are the second most common day in which they meet, but it’s not unheard of for them to make the assignments on a Tuesday or Wednesday. The missionary call assignment meeting is held weekly and is presided over by one of the twelve apostles. 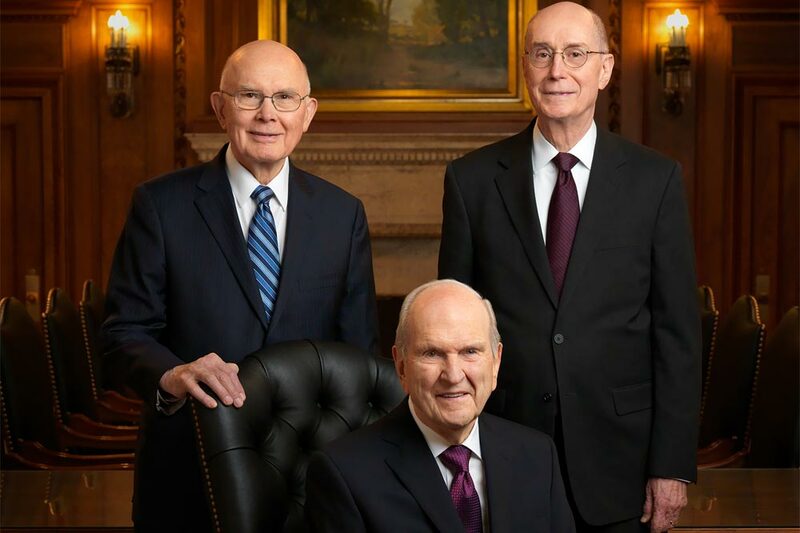 While all mission call letters are signed by the prophet and president of the Church, we should remember that each of the Twelve Apostles are also a prophet, seer, and revelator, and the Church president has delegated to them the responsibility to make mission assignments. In the weekly meeting, the apostle reviews new missionary applications and through the inspiration of the Holy Spirit of God, assigns each missionary to a specific mission. President Henry B. Eyring once spoke about this process when he was explaining how each call is inspired. Elder Ronald A. Rasband also explained this process and how missionaries are called by God in his April 2010 General Conference talk. What day of the week does the mission call letter go out? On most weeks, the call packets are received by the Church headquarters mail room on Tuesday, and are mailed out that same day. Because Tuesday is the most likely day for the call packets to be mailed out, those living near Salt Lake City, will usually receive it one day later, on Wednesday. Those living further away from Utah, should plan accordingly for additional days for the call packet to arrive. 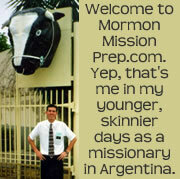 Remember, however, that there is variation to that schedule and the day that the mission call letter is mailed out could be different than the norm if the day the called was issued was different in that week, or based on other factors unique to individual missionaries, mission circumstances, holiday schedules, and if translation needs to be involved. I put my papers in two and a half weeks ago. According to my bishop, the assignment was made last Friday. Today is Tuesday, and I live in Provo. I will be spending my day tomorrow anxiously staring out the window waiting for the mailman to come. It’s now April 2018. My daughter’s mission papers were submitted a little over 3 weeks ago. Her call was assigned last week. Today is Tuesday. We live 30 minutes from Salt Lake, so we will start watching for her call tomorrow. She is so excited. We all are. How do you get this information? Is it made available to members of the church? I am waiting on my call, and have heard many conflicting ideas about when they meet to assign, when the call goes out and when you get it. My stake president says they usually meet to assign on Thursday. My source is a friend who works in the Missionary Department of the Church. As I state above, the day of the week is not set in stone and does vary. And also please remember that none of the information on this site should be construed as official from the Church. I do my best to provide accurate information, but neither I nor this site is an official spokesperson of the LDS Church. Good luck, and God bless. HI I’m sorry for writing this were, but I am really interested in becoming a health missionary or a nurse mission specialist, can you tell me more about that please? How is the mtc for this type of missionaries? My name is Joseph Forbush. I sent my papers last Tuesday but Salt Lake City received them on Thursday (1/24/13). I am so excited and can’t sleep a whole night without thinking about when mission call is going to come in the mail and what it says! I wondering when you guys think I might receive my mission papers in the mail. In your personal most exact opinion, what day or week do you think my mission papers will arrive in the mail? Example: Tell me the day, date, and week you expect my call to arrive. I live in Michigan…if this helps at all! I put my Mission Papers in and met with my Stake Pres. Almost eight weeks ago, four weeks ago I got word that they are in Salt Lake and they needed some information cleared up (which I did four weeks ago) my Stake Pres hasn’t told me anything else, so I take it that all is cleared up. Any thoughts on why it is taking so long? How do you know that your papers are already in Salt Lake? How can I know what point of my call am I in? You have to ask your bishop. He can check on the computer. @Joseph Forbush: DID YOU GET YOUR CALL YET? If so, where are you going? My hubby was a bishop a yr & a half ago. He sent out about 8 or 10 missionaries (a LOT for our ward) and watched the process online ea. time. Just like when byu students watch their application, the “status” of the app changes when it is registered at different points. If I remember right, when it is received in slc, call issued, etc. As I have seen before, it seems the calls are often issued on a Thurs., and processed for mail on Fri. afternoon. We live in VA, so it takes about the same time as Michigan or even a day longer to get our mail. They usually get there either Tues. Wed. Thurs. of the 3rd week (2 1/2 wks). Which should be yesterday/TODAY/or tomorrow…if the pattern holds now w/all these new younger applicants. So mine said assigned on Friday and I live in Virginia. When should it arrive? Possibly beginning of next week? Super Anxious Mom here! Stake Pres. submitted son’s call on Monday.. Do you think it could be here as early as the end of next week? We are having a “opening party” with all our friends and neighbors, most of which are non members. Everyone is exited! I’m really anxious right now, my bishop submitted my papers two weeks ago, will I get my mission this week? I live in Salt Lake City, Utah. Got word it was sent from SLC yesterday 8 days after submission. Looks like it will be here end of the week. How can I know when my paper is arrived in SLC and my assignment is made or not? sunny, your bishop or Stake president can check online to see if the call has been made. It’s been almost three or four weeks and I haven’t received my mission call, what should I do? SLC, UTAH..
Man, I understand that feeling. Eight weeks really starts to get you. Do you know the day senior couples are usually issued their calls? is it possible for the missionary canidate to call the mission dept to check on the status of the call.i submitted my papers last monday 7/1/13.im pretty sure they are on their way here.jus so anxieous. I’m not sure. I think the Church would prefer for you to wait patiently. If you used the online missionary recommendation system, I believe you can see where your application is in the process. Otherwise, if you feel there is a major delay, talk to your stake president and he can call the missionary department at Church headquarters. Good luck and God bless. If yoi contact your bishop, he’s able to see the status of your call, whether it’s in progress, assigned, or shipped. So my mission papers were all processed this week, or should have been because they had to call me about something and said they were going through. But, when my bishop checked today (Friday) at 9 p.m., the status was still “In Progress.” Is there any chance it’ll be assigned on Monday? Thanks! where is appropriate to open your packet? I understand the traditional answer but i am wanting to know if it is not appropriate to open it at church. My call was assigned this past Friday. I live in AZ ( not too far from UT) when should I expect to get it? Sariah, I’m curious when you finally received your mission call in the mail. Anxiously awaiting my sons now. We were also told by stake pres that the call was extended last Friday. Where are you serving and when? Hello i have a question about the online system i had my mission papers sent in via computer over a week ago will it show it was shiped to my house or say it was submitted and that is it the stake president has already sent it in to headquarters so? Hey Jimmy, love the site and info. Just one question to clarify things: The stake president submitted my papers a couple days ago, on Tuesday, so the apostle should review my papers and make the assignment on Friday like you said. But will the packet get to the mail room the following Tuesday or a week after on Tuesday? You or anybody else can post the answer or email me personally if possible please. Thanks! The packet will get to the mail room the Tuesday after that call is made. But what is less certain is if they will be reviewing your paperwork the Friday after you submit it. If, for example, there have been a lot of submissions, there could be a back log, so it might not be until the following Friday before they get to your paperwork. Good luck, and God bless. I’m from Mexico, I submitted my papers over 1 month ago, but my stake president forgot to mail them to SLC, he also said this very Wednesday I was going to be assigned, I’m super excited and wait to get my call in 2 or 3 weeks from now. Hello jimmy! I so much appreciate d way n manner u give answers to question. Kudos! Pls i want to knw my mission call status. I submitted it last month*august 2014! So, my bishop said my status changed to ‘assignment made’ today. It’s a Tuesday, so I’m curious when I should expect to see my call packet- like when should the packet be in the mail room? Hello, I love reading all the great posts on this website. I had my Stake President meeting today, and my papers are officially submitted! I hope to get them real soon, hopefully a week from Wednesday! I’ll patiently wait, but I just want to keep everyone updated with when my call comes and where I will serve. I just got word from my Bishop that my papers are now with the First Presidency! I may be getting my call in a week! That’s very exciting. Let us know when your call comes and where you’re going. I just received an email from my bishop this evening lettering me know my call should be here tomorrow! We got our calls this morning and opened them up this evening. We fliiped a coin to see who would go first and my twin brother was the lucky one! He is going to the Australia Brisbane Mission, reporting to the Provo MTC on March 18th and will be speaking Mandarin Chinese! I am going to the Australia Melbourne Mission, reporting to the Provo MTC on March 18th and and will be speaking Mandarin Chinese! cual es el perfil para ser llamada a mision de la manzana del templo. Y teniendo asma es verdad que te llaman en tu propio pais? what is the profile to be called a mission of Temple Square.? And having asthma is true that you call in your own country? I’m from Ghana …and i have submitted my forms almost a month and 2weeks ago. and my call is still not in.. I’m also curious to know when I should expect to see my call packet..
hello …i also took my form around May 2014 and i started filling it….. on my form the day of available for service i wrote 14th June 2014….and i submitted my form later in November 4, 2014….but forget to change it.. Please what happens to my forms ..is it going to be change to June 2015?? I believe they will consider your availability date as “immediate” or “as soon as possible” in this case. ooh okay….. its a month and 2weeks. thats why am a bit worried ..and how can i check it online or when should i expect my call letter …. We have a young man from northern Utah who’s papers were electronically submitted to church HQ Tuesday Feb 24. It showed ‘in process’ that morning and changed to ‘ready for assignment’ by that afternoon (no paperwork problems). Hoped he’d be in the selection group that Friday, and out the mailroom Tuesday for a Thursday opening. Didn’t happen that week, so we thought for sure he’d be getting it the next week. No change again. Still shows ‘ready for assignment’ after 2 selection weeks and mailroom days. His availability date was just within the 120 limit when he submitted, so maybe they don’t go first in/first out like I assumed. Do you know, or can you ask your contacts in the missionary department if others that put their papers in later, but with earlier availability dates, are bumped to the top of the stack? I guess I’ll answer my own question in hopes that current info may help others who are going through this process. The status that I mention (In process, Ready for assignment, Assignment made) is something that your Bishop, Stake President, or even ward clerk can easily check on the computer or even their smartphone any time. See my above posts for the full timeline starting back on Tuesday Feb 24th when the paperwork indicated that it was with church HQ and initially ‘In Process’ and later that day ‘Ready for assignment’. That is the way it stayed for a full month. After 3 weeks, our Stake President called SLC to check on it and was told there were no problems and maybe it would be decided that week. As of Monday night March 23rd it still indicated ‘Ready for assignment’, but when I checked again at 7 the next morning (Tuesday) the status finally had changed to ‘Assignment made’ with an assignment date from the previous Thursday March 19th. A note on the status bar indicates that the status does not get changed to assignment made until the completed packet is mailed out. As far as mail getting there the next day (Wednesday) near SLC, we are within an hour of SLC on the I-15 corridor and as of Thursday March 26th, it was still not in the mail today. Talked to a friend who lives in the SLC valley who is in the same boat, and no call for them yet either. Another boy in the area got his call on Friday last week, so it seems the timing has changed a bit since this site was originally published. Hope this is helpful to others looking for current information. This is immensely helpful, Bruce!!! Our son’s just changed to “ready for assignment” a few days ago, after sending in his papers almost two months ago (medical issues held them up TWICE). It’s felt like an eternity. From what I’ve seen with my son and all his friends, calls are now coming on Thursday or Friday. Our Stake President called on Monday to say that the website says “Assignment Made”, but it’s Thursday, and still no call in the mail. We are hoping for Friday….It’s very unpredictable now, not like back in the “old days” when you knew for sure it would come on a Wednesday. I would like to know if availability date affects processing time? As stated earlier, do they process the calls with the earliest availability date first? I can’t say for sure, but I do not believe availability date is a factor for when they process the call or how long it takes to process. That is, other than the fact that you are not allowed to submit your paperwork more than 4 months, 120 days, prior to your availability date. I believe each application is processed in the order it is received, and goes to the prophets for the call assignment just as soon as the application is ready. My daughter is submitting her papers on July 10th (her 120 day mark) – but I heard through the “grapevine” that calls are not issued in July because that is when the Brethren take their vacations… I just wanted to know if that was true cause if so the waiting period would be longer than normal. Also, do they allow missionaries to enter the MTC early, so that they turn the required age while in the MTC? Thanks so much for any info you may have, really appreciated. I also heard the rumor about calls not being issued in July due to vacations taken by the Brethren. The 120 day mark was a month ago, but we had some issues to work out–now that the paperwork is ready to go next week, I’m wondering if we will be further delayed. Anyone know? Well, the bishop said the assignment was made last Wednesday, Jul 22. And another sister in our ward received her call a week ago–so that at least answers the question that yes, calls are issued during the month of July. I sent in my papers about 6 weeks ago and was called by the stake president to clear up some things, finished doing that two weeks later. A member in my ward that’s in the stake presidency checked my status online then told me on Tuesday my mission status finally changed to “assignment made,” but it’s Thursday and I still have no call and I just live in Utah county. I’m just not sure if it’s coming anytime soon or if it will come tomorrow? I’ve just been waiting for a long time, so any help would be appreciated! Anyone else agree that we should be able to see the processing status on our website. It’s been 3 weeks and I live 20 mintues from SlC my bishop says it was issued 1 1/2 ago. So I submitted my papers 3 weeks ago exactly (January 20) and as of yesterday (Feb 9) my bishop said that the status said the call had been made. My address is literally 2 and 1/2 blocks away from Church headquarters (if that matters) and I thought I would have received my call today, but no. I am hoping that it will come tomorrow, but a few people who live around the downtown area are saying that they have been getting theirs Saturdays? With the change of missionary ages and the large influx of missionary applications, did the process change for how they assign missions? Do the 12 apostles still decide on the call or did they need to streamline it differently to accommodate the increased volume? If so, what is the procedure now? To my knowledge, the process has not changed. One of the apostles, who we sustain as prophets, seers, and revelators, issues the call for each missionary. Thank you! I was hoping that would be the answer! It makes it extra special to know that an apostle of God receives revelation regarding your call. What is the average wait time between getting your call and entering the MTC? Is it generally longer if you’re going foreign? I don’t know if there is an average, but if there was, I’d guess it is between two and three months. I have seen it as short as one month and as long as four or five months. And I don’t think there is a difference between domestic or foreign missions. My daughters bishop said her call was issued on March 10th. The status said assignment made…. Does that mean it’s been mailed out? The 10th was 10 days ago and we only live in Idaho, 2 hrs away from SLC? Seems like a long time. Any ideas how soon it will come? Does anyone know what day of the week it usually arrives? It took 2 1/2 weeks for my son’s call to come after it said the call had been assigned. We only live 15 min from Salt Lake and it came on a Wednesday. I hope that helps! Yes that does help! Thank you:) I was starting to think it got lost in the mail, so good to know that is a normal amount of time! Is there a deadline after a call is assigned when it must be accepted? Good question. I’m sure there is a deadline, but what it is, I do not know. Check out my post about the mission call acceptance letter. Hi, I just put in my mission call this sunday, and I was wondering how I could see the status of my mission papers without having to ask my bishop. I mean, is that possible? My Son Joseph has had the papers submitted and accepted. We got a text from our Ward Bishop that the status was “Call Assigned”. Now that was on Wednesday June 29th and Today is July 4, 2016. No word yet… We have faithfully checked the mail box every day since… No sign of my Son’s call yet in the Mail. Patiently waiting….. hoping…. praying…. Have you heard anything yet? My daughter got assigned the same day and hasn’t received her cal yet? Hope your son finally received his call. We are on week 5 of waiting for my sons to even be assigned. My sons papers were submitted 5 weeks ago. 2 weeks ago the mission department contact our stake president and needed some clarification on a few medical things. He called me I explained everything and he called the mission office right back. He then said they seemed fine with everything. The status then went from “in process” to “ready for assignment” Yesterday our bishop checked the status and it still states “ready for assignment” I’ve had a few people tell me I should contact the mission department in SLC to inquire if there’s anything else they need. Not sure what to do. We are headed to Utah (from the East Coast) this coming weekend and was hoping his call would be here so we can shop. Not sure what to do at this point. Do I call them or just wait? We have a few hectic months with our temple preparing to open and the cultural celebration which my son’s involved with so was trying to get a head start on things. If the status says ready for assignment, then there is probably no reason to call the missionary department. Once your son’s paperwork is completely ready, he gets put in the queue. Then it’s just a matter of the time it takes for the brethren to go through each missionary’s name. There are only so many that they can do in a week, so if they didn’t get to his name this week, hopefully they’ll get to it next week. During the spring and summer is the busiest time when a great number of missionaries submit their paperwork, so be patient. And thank you for your son’s and your family’s willingness to serve the Lord. Thanks for your comforting words and encouragement to be patient. I just heard from my bishop that his call was assigned on July 6th, so now just hoping and praying that it is here be Friday before we leave for Utah/Idaho. My sons were submitted almost 5 weeks ago. It’s good to read that others have been waiting a longer than average period also. We will be patient and continuie praying that it will come and be to where the Lord needs him to go. I hope your son gets his call very soon. It’s hard waiting. My sons were finally assigned so just waiting on the mail now. Good luck. My Papers were submitted on sunday 21st August 2016. I live in NZ and my bishop checked status online yesterday which was sunday, exactly two weeks from when I submitted them and its sitting at ready to be assigned. Should I expect my mission call this week? Its now a Monday in NZ hopefully I get it this wedensday or thursday? My guess would be that the call will be assigned this week, probably Thursday or Friday. If so, your call wouldn’t be mailed out until the following week. So I bet it will be another week and a half before it comes in the mail. Good luck. I hope you have a great mission. Thanks Jimmy! I got my mission call two weeks and 5days after it was submitted and ive been called to serve in the manila, philippines mission. Congratulations! Good luck and God bless you and your family throughout your mission. Reading all the comments from more than five years ago, I just cannot help but become excited for my own mission call! It is almost eight weeks since I had done submitted my papers to my bishop; to be fair, it will be no more than four weeks since my stake president submitted it to the Church HQ. Nonetheless, I am more than patient as I am not merely waiting. I am busy doing some sort of internship here at the Area Office in the Philippines. My said ready to be assigned since Friday. How long till I get my call? Is there a chance I will get my call by this Friday? My call was in processing for a week already. My friend has been waiting for 6 months for his call. Who can I contact about it possibly being lost in the mail? He lives in Thailand. Any ideas would be great! Thank you! Your friend needs to speak first with his bishop and then perhaps the stake president. Those priesthood leaders can call Church headquarters in Salt Lake City, Utah to get more detailed information. Hey @JoshIvey did you ever find out what that pin thing meant? I saw it appear on mine on Thursday and was wondering how long it would take to get after that showed up. Hi! I turned in my papers last night and I just got word from my bishop and my application is in Salt lake! So excited. wonder how long it will take. I’m at BYU-Idaho. My son turned in his papers a little over a month ago. With several delays .the first. Time the local leaders overlooked some missing medical information.It was correct and sent back with a wewk.Than two weeks later tbey received an email about his disability. A response was sent back that same day. My question is. Do these delays cause things to start over.or does it just go to the next step from there. Its really frustrating.please help. I don’t believe there is any back tracking or starting over. I believe they gathering all the parts of your application at church headquarters, and once they have everything they need, your son will move to the next step of the process. We’ll pray that it goes quickly and smoothly from here. Good luck and God bless. If the assignment was made on the 7th, then the letter was probably mailed out on the 11th. I have no idea how long it takes for US mail to get to Nigeria. But please let us know when you get it. Thanks. Good luck and God bless you. Thanks very much, I finally got my call yesterday. I’m serving Benin city Nigerian mission. I’m leaving on the 15th of June. Approximately how long does it typically take for the status to change from “in process” to “ready for assignment”? -how many applications are received by the church that week. Spring and summer is a busy time of year with more applications coming in during those months than during fall and winter. In those very busy weeks, your application would probably only be delayed by a week. -medical issues. if your application has indications of physical, mental, or emotional health issues, then it could take longer for the doctors at church headquarters to review your papers and have you ready for assignment. It is these kind of issues that can cause the longer delays. My son’s took 5 WEEKS!!! Oswell, I wish I knew, but unfortunately, I don’t. Sorry. Good luck. Let me know what you find out. Hi! My stake president just sent my papers in last night. I’m soooo excited for when I get my call. However, I just have one question. I had depression during my early teens. I indicated it on my papers. I wasn’t clinically diagnosed, but I have cleared it up with my bishop and stake president. Will this affect or somehow delay my call? Thank you for answering! I’m from the Philippines, by the way. Congratulations on getting your mission papers turned in. I’m sure you’ll be a great missionary. If your bishop and stake president have indicated that the depression is no longer an issue for you, then it should not affect your mission call. But if you are actively taking prescription medications for depression, then that could delay your call a little and affect how and where you serve. Good luck, and God bless. Thank you so much! After fervent prayers and getting a few emails and calls from the missionary department, I finally got my call last January 27! I have been called to serve in the Philippines Baguio Mission! I report to the MTC on April 6. I’m so excited! My son just interviewed with the stake president this week. I hope that means his papers are now submitted. He has Crohn’s Disease and I wonder how that will affect his paperwork and call. What have you heard about medical issues? From my experience and what I have heard is that it may delay the processing of his application a little, but not too much. It may take an extra week if his application is identified as one that needs special attention from the doctors at church headquarters to review before it goes to the brethren for the assigning of the mission call. The Church has, historically, not said a lot about the process for youth that have medical issues. It’s something I have been researching more and I’m trying to post an article on the site soon with the information I have. Good luck and God bless. Thank you! I’ll keep watching to see if you learn something about medical issues and post about it. We’ve been ready for assignment since October 12. Will check the portal to see if it’s asking us oldsters for a pin yet. We hope ours get sent out on Tuesdays too. Gonna check right now. Woo, hoo! At the portal it’s now asking for a PIN number. It was just bumping us out automatically on Sunday and Monday. So, it looks like our calls are in the mail since either Tuesday or today, Wednesday! We’re in Houston; our call is going to Spokane. Hope that brother-in-law is checking the mail! With these calls he’ll have opened five mission calls in his life. Woo hoo! I submitted my papers October 17th and it was received at the HQ in Salt Lake City, I have checked with my bishop each Friday to see the status and it still says “in process”. Tomorrow will mark 3 weeks, so I’m hoping to get it this week. Is there any chance they just haven’t updated the status and it could still come this week?? UPDATE: Call was assigned on November 22, right before Thanksgiving and now when I go into the mission portal it asks me for a pin. It’s now 9 days later and I still haven’t received it, I’m assuming mail is taking longer due to the holidays. But, if it’s showing the pin that means it was sent out right? Ethan, If your call has been assigned, it should go out with the next mailing. Calls usually leave the mail room on Tuesday, and I’m guessing it takes 2 or 3 days for the mail to get to New Jersey. So I’m guessing you’ll get your call packet later this week, around Thursday or Friday. Hi! I live in India and I submitted my mission papers on 20th October. When I last checked in with my branch president, my status was “ready for assignment ” on 24th November. Any ideas on how long must I wait to get my mission call? Staicy, I’m guessing it will be another week or two. If you are ready for assignment, the call should be made this week and then it will hopefully be mailed to you next week. Good luck and God bless. My son’s papers were submitted a little over 2 weeks ago. Our bishop is telling us he can’t see anything about the status. 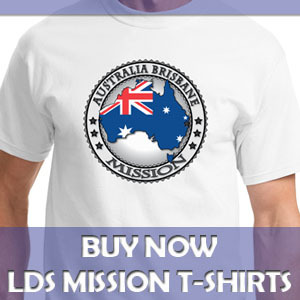 Does it show anything on the missionary portal from the candidate’s end? When I check it says, “Recommendation has been submitted”. I wish the Church would make a video or write an article about the steps in the online application process and tell what the different statuses are and how things move from one status to the next. But alas, I’ve never seen anything like that. I believe “Recommendation has been submitted” means your stake has submitted the electronic paperwork to Church headquarters. Next, a team of people there will review the application and get it ready for the apostles to issue the call. That includes medical doctors reviewing your medical papers and other Church employees making sure everything on your application is in order. Then it will be marked online with the status “Ready for assignment”. That means that in the next weekly meeting where an apostle issues calls, your application will be in line for a mission assignment. Then, the next week, assuming there are no issues to cause a delay, your mission call packet should be mailed out. I hope this helps. Good luck and God bless. Update on son with medical condition. Some of his labs were missing so that took a few days to contact the doctor and get them submitted. Then after Thanksgiving he got a call from a doctor working for the church to discuss his condition. It was after this call that his status changed to ready for assignment. We are hopeful that he may have a call by Christmas. Hello! Thank you so much for posting about your sons medical condition. I have Narcolepsy and I am going through the same process. How long did you guys wait to hear from the church doctors? My papers are in Salt Lake right now and I know I will have to talk to the doctors eventually before I am assigned. My daughter submitted her papers the week before Thanksgiving. It is now two days after Christmas. It has said her call has been assigned over a week ago. We only live in Idaho, I would’ve thought it would be here by now? Does the temple shut down for the whole week of Christmas? Could the call have been made but not sent out? Kelly, It is very possible that the call has been made but the packet has not yet been sent out. In fact, that sounds exactly like what has happened. I bet the mailing out of calls has been delayed due to staff at Church headquarters taking time off for Christmas break. I’d give it a few more days. If you haven’t received the call packet in the mail by the first part of January, then, if it hasn’t arrived, you may want to give the Church missionary department a call. Our daughter’s mission papers were submitted to SLC on Jan. 2, 2018. President Monson passed away the same day. Do you think this will create a delay in mission assignment until the new prophet is ordained? Who would sign mission calls between Presidents? 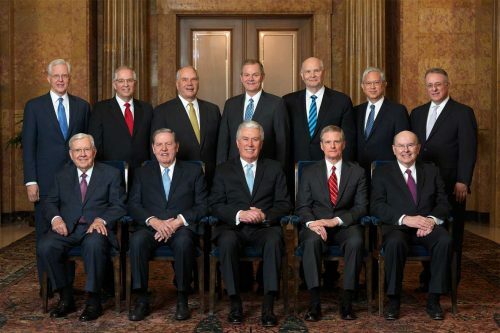 Imagine it would be the President of the Quorum of Twelve? Hi! I just submitted my mission application 2 days ago and my bishop emailed me saying that my status read “ready for assignment”. Do you think that my call will be assigned this week, or do you think I’ve still got a while before I receive my call? Seems like most of the questions here are the same. Answer is the Lord is teaching us patience here. Only been 2 weeks since sons papers have been submitted from New Zealand. Happy to wait which means more quality time with him before he goes. Lol…. All the best to our prospective missionaries…. My daughter met with the Stake President yesterday. I have heard that her call might be delayed because General Conference is this weekend. Are they not assigning calls this week? It’s taken 4 weeks since I submitted my papers. For three and a half of those weeks, they were in processing. My call is currently waiting for an assignment. It will probably come within the next 2-4 weeks. To my understanding as told to me by the mission department, they were working on mission papers and making assignments through Friday of last week. I hope this helps. My son Submitted his papers 3/20/18 and it says they’re still processing. My neighbor submitted his 3/11 and received his call in the mail on 3/28. My guess is General Conference is causing a delay???? My Stake president submitted my papers on the 28th of March as well. Status was just moved to “ready for assignment” yesterday. I was told that General Conference would cause a delay. Super excited to receive my call! Kiara, My daughter is waiting for her call to arrive. It was assigned last week. We were told that once it is assigned, it will be mailed out the following Tuesday. Today is Tuesday and we live 30 minutes from Salt Lake, so we will be watching for it tomorrow. I think it’s wonderful that so many sisters are serving missions. I have Narcolepsy and I am filling out my papers. Along with my physical that lists my health needs do I need to include my sleep study results? Savannah, Your doctor should write on the evaluation that he/she fills out that you have narcolepsy. The results of your sleep study probably do not need to be included, though a summary of the results should be included in the report from your doctor. When the doctors at Church headquarters receive your mission application, if they want more details on your narcolepsy, they will ask for it. Good luck. Ok awesome! Thank you so much for the info and response. I sent my papers on 22nd of February, however my mission call is still in process… My district president calls them every week since 20th of April and they say it should be assign at the end of the week. Already passed 4 of this “weeks”. Do you know why is it happening? Do they have some organization problems there? I feel like something is a little off, I submitted my papers on April 19th it is now June 10th. They were reviewed 3 Monday’s ago but they are still not here, I live in mid California what are your thoughts on where they are and what happened to them. The delay could be for any number of reasons. I recommend asking your bishop to call the missionary department at church headquarters to see if you can get an explanation. Good luck. Hi there! My papers have been in for about 4.5 weeks. My bishop checked the status of my call last night (Monday) and it said “ready for assignment”. Do you think there’s any chance it could come this week? Someone told me it only changes to assigned when it’s actually sent. Or will it probably be another week? Thanks! I have a friend who said the apostles do not meet for a certain time in July and take a “summer vacay”. They will convene again later in the month so her call will take longer to be received. Is that true? Yes, I have heard that they generally take their vacations in July, so the summer schedule can be more unpredictable. We live in Washington state. My daughters mission call was mailed on Tuesday. She received it in the mail the following Monday. Isaac, I don’t imagine there will be much of a delay due to your diabetes. Diabetes is pretty common and something that the Church missionary department deals with all the time. Please do let me know, though, how long the process takes for you and anything else that would help people in the same situation as you. Good luck on your mission and God bless. My mission papers were assigned on august 10th. How long will it take to get my mission call packet? Hello! I live in SLC, this week will be my third and I’m still waiting on my call. I feel super impatient because my boyfriend got his in two weeks. I do have a mental health background and for the missionary assessment the therapist said, I was fine but that the process would be longer since there’s another step my papers need to go through. Does anyone know how much longer it will take? Or anything related to that? Let me know! Thank you! Do they ever meet on Mondays? My son’s mission application was submitted August 25th. He needed an assessment concerning his health which was completed 3 weeks ago. His portal always says recommendation has been submitted. It feels like he has been forgotten. Any ideas or advice? What day of the week are missionaries getting their calls with the new electronic mission calls? Jim, I don’t know what day they are coming now. When you get you call emailed to you, please come back here and let us know. Thanks. Excellent information! Thanks so much. My brother’s mission papers were sent in on Monday Nov 12, and he received an email saying that his call was ready to be viewed in the early hours of Tuesday Nov 20. We were all really surprised at how fast it had come, but it’s really nice that we no longer have to wait for the mail. I’ve seen the same update on a Monday in the Ward Mission Fund drop-down list to include their name with two of my friends, and then call received following day on Tuesday. I will add my son’s mission call timeline to that of Jim’s above since there are not many timelines of the mission call process since the new emailing of calls by the Church that was started in September 2018. My son had his online application submitted to SLC on Sunday, December 16, 2018. Due to his medical history and also probably due to the Christmas and New Year’s Day holidays, the status of my son’s application wasn’t updated to “Ready for Assignment” until Wednesday, January 9, 2019. As Jim pointed out in his 11/20/2018 post, my son’s name showed up in the drop down menu of the “Ward Missionary Fund” section of the online tithing donation form on Monday, January 14, 2019. His name showing up occurred between 10:00am and 10:30am. Today, January 15, 2019, my son received an email from the Church at 11:12am stating that his mission call was ready to view. Today was also the day that my son’s mission call status was changed to “Assignment Made”. To add another side note and timeline, there was a young woman in our Stake who had her online application submitted on Sunday December 23, 2018. She received her call on Wednesday, January 2, 2019. I don’t know, but I am guessing that she had no medical history or concerns and that is why she received her mission call nearly two weeks before my son even though his application was submitted to SLC a week before hers. She received the email from the Church stating that her mission call was ready to view at 7:30am. My son is reading his mission call assignment today after I get home from work in the presence of his parents and three siblings. What time zone are those times? I’ve seen the same update on Monday in the Ward Mission Fund drop-down list to include their name with two of my friends, and then call received next day Tuesday. I submitted my mission papers on March 5 so exactly two weeks ago. Everyone I know who submitted on that day recieved their call today. I have adhd and required a mental health evaluation. Any idea on when I should expect the call? My son submitted his papers March 5 as well, and he still has not received his call. I agree with Chandra–the trip to Rome and just the high volume of calls right now has things a little backed up. My call changed to “ready for assignment” on march 15. Maybe today will be the day. Did anyone get the call today….we still didn’t hear back and it has now been 4 weeks! Samuel, did you get your call the following Tuesday on the 9th? And when did it change to “assignment made”? I’m in the same boat; my mission email is set up, but my bishop told me that my status says “Ready for Assignment,” so I’m not sure if I will receive my call this upcoming Tuesday, or the one after. Was this confirmed? My email account was opened on Friday, but on Saturday, I checked my status and it still says “Ready for Assignment.” Does the new email mean it has already been assigned? Did your daughter get her call? Anyone heard of someone called to serve a two transfer mission? My son just got called to serve one. He has anxiety, but it’s really not a problem. He’s been living on his own (with roomates at college) for almost a year now and has done just fine. His call is to several states away, but he will not be going to the MTC and we are expected to drop him off at the mission home. (He will have access to an online MTC tutor before he goes though). At the end of his 3 months, he will either be released and sent home, he will stay in that mission for the remaining 21 months or he will be assigned to a new mission. Either way, if he gets to continue, he will then go to the MTC before either going back to his mission or going to a new one. This doesn’t really make sense to me since he will already have 3 months of experience, but oh well. I know these missions have been around for a few years, but I thought they were more for kids that had legitimate health reasons that might prevent them from serving. And I thought that it was served in their own mission or a neighboring one. So I’m just wondering if it’s just unique to my son, or if more people are getting calls like this. Susan, I have been hearing about this “two-transfer mission” program from the last few years. I need to write a blog post on the topic, but my life is crazy busy (six kids, busy at work, church callings, etc.) and I haven’t made time to do so. As you can see, the two-transfer mission is something that many other missionaries are being asked to do. So please know that your son is not being singled out. I hope this information helps. May God bless and be with you and your son during his missionary service. Thanks, Jimmy. I just heard today of two more missionaries that served the two transfer mission, got reassigned and are currently serving. The only difference is that they were first called to local missions. So I guess it is more common than I thought!